Hair extensions can help you create the perfect prom look. 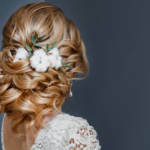 Prom season is right around the corner, and it’s never too early to start considering which hair style you want to wear, especially if you still need to get hair extensions to pull it off. While picking out the right dress might be your top priority, how you fix your hair can make or break the overall look. If you’re still looking for the best hair style, consider these options. If you look back to the movie stars of the 20s and 30s, you will recognize some of the styles as today’s popular prom styles. To create this look, part your hair straight on one side of your head. Apply a strong hair gel throughout your hair, particularly in the top portion, and rub it in well. Use your fingers to create waves where you want them and then dry the gel with a hair dryer. You may also want to curl the ends. Prom styles of the past typically consisted of fancy up-dos that piled the hair on top of the head. However, today’s hair style trends focus on creating long, luxurious waves of hair that add volume to your style. With the help of quality hair products for remy hair and a curling iron, you can coax your hair into luxurious waves that cascade over your shoulders and accent the look of your dress. Not everyone enjoys the weight of their hair piled on top of their head. However, if you prefer the look of the up-do, consider choosing a style that is half up-do and half down. This is a great way to frame your face. Before your hair dries, apply styling cream to your wet hair and then dry with the help of a blow dryer and paddle brush. Part your hair to one side and draw back the front portion of each side toward the back of your head, securing it with bobby pins. Curl the back of your hair to complete the look and apply flowers or other accents. Today’s hair style trends focus on a slightly messier look. It’s no longer necessary to create the perfect hair do for any occasion. Instead, curl your hair loosely with a curling iron and pin the hair up in whatever style you would prefer. A light finishing spray will keep your hair in place the entire night. When it comes to the top prom hair styles, there are plenty of options trending. Many of these styles can be enhanced with the use of hair extensions and quality hair care. 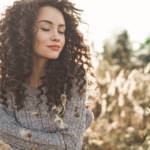 Whether you wait until after you have found the dress or before, this list of hair styles can help guide you in the right direction. If you’re looking for the best hair products for remy hair to keep your hair looking great, contact us. Our quality hair care products are sulfate-free and create the beautiful looks you want, even if you wear wigs or hair extensions. 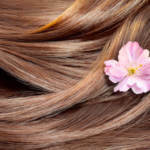 What Special Products Should You Use on Remy Hair?